for Century, order Times, serif; font-size: 13px; line-height: 20px; text-align: left; border-style: none; padding: 0px;”>Any day now Immigration and Customs Enforcement (ICE) will announce a second round of “reforms” to the disgraced “Se Communities” deportation program, S-Comm. And once again, it appears that ICE is more interested in spin than substance. The timing of the announcement–immediately before the DHS Office of Inspector General Report–seems primarily designed to take the pressure off of ICE rather than an honest attempt to address the fundamental flaws of the program. The importance of this assembly can be marked by simply looking at what many of us faced in order to arrive here. We travelled in caravans through 287(g) country, seek risking interfacing with police officers who double as deportation agents, view in order to challenge the polimigra. We left kitchen tables stacked high with frequent bills and street corners frequented by too few jobs during winter months. Carrying the fake checks of contractors in our pockets and the echo of hateful cries of minutemen in our ears, we’ve come together to turn the tide. During the hearing on Georgia’s HB 87, a replication of Arizona’s notorious SB 1070, Judge Thomas Thrash posed a hypothetical scenario: an 18-year-old man is driving his mother to church. He is a citizen, while his mother is not. Under HB 87, would the son be a criminal? The question is not a theoretical matter for thousands of families in Georgia, and millions nationwide. It is reality. Californians took a turn against the Arizonification of immigration policy and took a step toward standards we expect and the oversight we deserve when the state passed the TRUST Act out of its assembly’s public safety committee this week. The modest bill meant to improve public safety, foster transparency, and protect civil rights following the botched expansion of the Se Communities program, now makes California a national focal point for the next phase of the battles over Arizona-style immigration policies that would convert police into enforcers of our nation’s broken, and unjust, immigration laws. 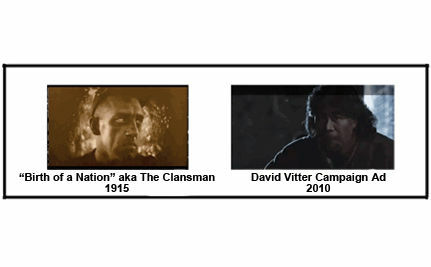 When I first saw the campaign ad in Louisiana, it reminded me of the 1915 klan film “Birth of a Nation.” As I watch election results and copycat bills of Arizona’s SB 1070 spreading across the country and now 14 states considering attempts to rewrite the 14th amendment, I wonder what nation we are birthing today. Helvetica, sans-serif; font-size: 13px; line-height: 19px; text-align: left; padding: 0px;”>“They call me KKK, I consider it an honor. It means we’re doing something,” are the startling words of Sheriff Arpaio, the top law enforcer of Maricopa County, Arizona. click Helvetica, sans-serif; font-size: 13px; line-height: 19px; text-align: left; padding: 0px;”>In Arizona, law enforcement has two new tools in their supposed fight against immigration; ski masks and teddy bears. Anyone in Maricopa County can sign-up to be part of volunteer posses that sweep through Brown neighborhoods on a self-described hunt. Upon taking up the task, they’re handed those two items, a ski mask to hide their identity and a teddy bear to hand to any children whose mother or father they rip away.